9501 S. Martin Luther King Dr.
Jim O’Toole pitched in the 1961 World Series and the 1963 All-Star Game and is a member of the Cincinnati Reds Hall of Fame, even though Leo was not fielding a baseball team when he graduated in 1955—the Reds signed the left-hander out of a Sherman Park rec league. John Boles ‘66 was instrumental in restoring baseball to Leo; he later played at Lewis University and reached the major leagues as the Florida Marlins’ manager for three seasons. Tom Brennan ‘70 pitched for the White Sox and two other big league teams after helping Lewis to the Division II College World Series. Leo has some intriguing baseball history, and Coach Mike Anderson ‘91—a three-year starter at catcher for the Lions from 1989-91—is trying to add to it, having established “feeder” relationships with several South Side youth leagues. 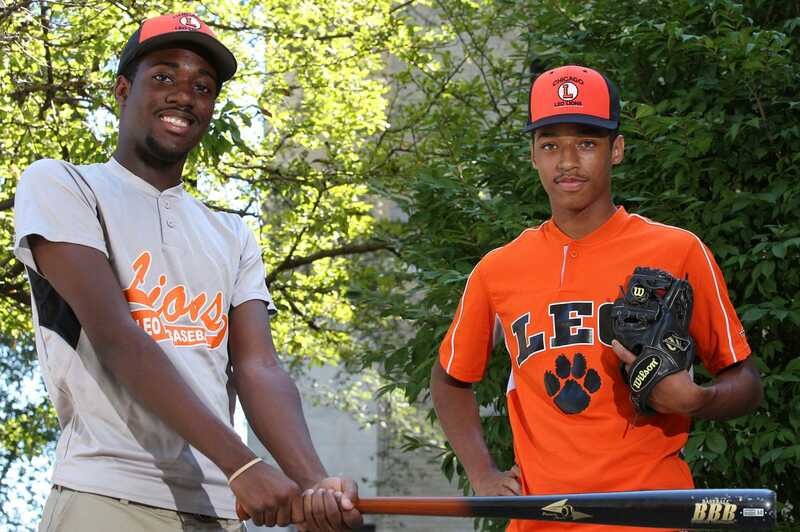 Aspiring ballplayers are welcome at Leo as the Lions seek to raise their profile in Catholic League baseball. The Lions won the CCL Red Division title and advanced to the Class 1-A Regional finals in 2013. Phil Byrd (University of Dubuque), Christian Hampton (Indiana State) and Devin Bell(Highland College) from that team went on to play in college. Chris Higgs ‘16 followed Bell to Highland.